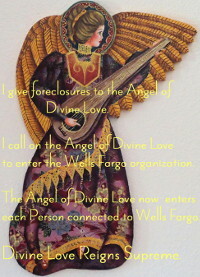 Fannie Mae hounds Americans to repay in full foreclosed mortgages where auction prices left deficits. Read more. 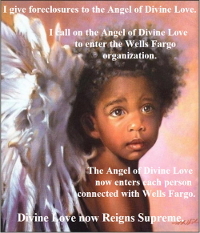 In contrast, HSBC submitted inflated foreclosure fees to Fannie Mae, FHA and HUD and gets off with a sweetheart deal. Read more. How can that be? Thank another bank-friendly prosecuting lawyer, Preet Bharara, who like Loretta Lynch was eyed by President Obama for the DOJ. Adding to the injustice, American taxpayers paid those inflated HSBC bills. 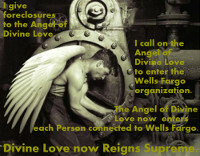 HSBC is known to many Americans as the bank that unlawfully foreclosed them. For me, HSBC was used to show why I could not redeem my property, even though my mortgage contract gave me that right. 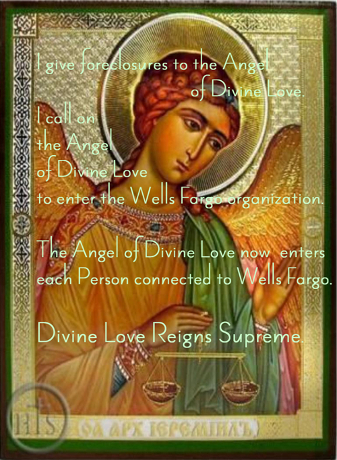 Image Credits ~ Angel with Scales of Justice ~ Orthodox Icon.